All this month we’ve been reminding people that African Americans (and others with naturally dark skin) can get skin cancer, too. And, as African American History Month concludes, we at Coolibar would like to ensure that the flow of information about cancer and skin of color does not. Skin cancer – particularly melanoma – has been shown to be much deadlier to African Americans than for Caucasians. The Skin Cancer Foundation points out that 52 percent of non-Hispanic black patients receive an initial diagnosis of advanced stage melanoma, compared to 16 percent of non-Hispanic white patients. There are several reasons for this, including that squamous cell carcinoma (SCC), the most common skin cancer in African Americans, tends to be more aggressive and can carry up to a 40% chance of spreading. But many of us also still believe that African American skin, with its higher melanin content, is just highly resistant to developing cancer caused by the sun. African Americans simply tend to seek treatment much later because skin cancer isn’t top of mind. In fact, typical African American skin protects at the equivalent of a 13.4 SPF sunscreen. (SPF stands for Sun Protection Factor, and it mostly measures UVB radiation that causes darkening or burning on the surface of the skin). UPF, or Ultraviolet Protection Factor, measures UVB and UVA radiation. UVA penetrates deeply into the skin and is, by far, the most prevalent of the sun’s radiation. Effective sun protection starts at UPF 30, and should ideally be UPF 50 or higher. 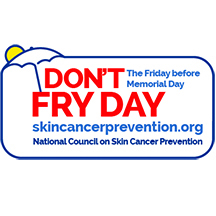 There is more to be repeated, remembered and learned; for example, the Skin Cancer Foundation has some excellent facts about ethnicity and the dangers of the sun. African American History Month may come to an end. But the effort to defeat skin cancer continues year round! We’ve been keeping a close eye on the 2014 Sochi Winter Olympics, if only to imagine what it’s like to slide down an ice-covered slope at 80-plus miles per hour on purpose. If you’ve been watching too, you likely saw something unexpected: temperatures topped 17 degrees C. in Sochi (that would be more than 60 degrees here at Coolibar headquarters near Minneapolis, MN, which hasn’t happened in a while). This is the Winter Olympics? Especially as we look at these photos from February 12 in the Mail Online, we’re reminded once again how important it is to protect ourselves from the sun year round. 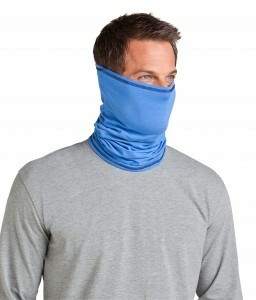 In fact, sun protection is much easier to overlook during winter, when exposure tends to be more intermittent. UVA and UVB rays are always a danger for unprotected skin regardless of the temperature or time of year. One of our heroes, Julia Mancuso – a US Olympic alpine skier who won a bronze medal February 10 in the Ladies Super Combined, which is an official name for “flying down an icy slope at 80 mph”– is already on top of it. Aware of the dangers, especially at higher altitudes with the sun reflecting off of snow, she shares her story and her tips for staying sun safe with the American Academy of Dermatology. 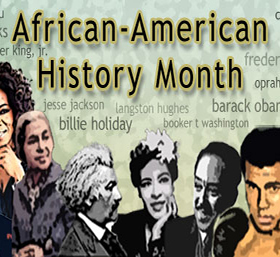 February is African American History Month. Among much else, it can serve as a fitting reminder about a myth that has persisted for too long: African Americans (and those with darker skin tones) can’t get skin cancer. In fact, among the African American population, melanoma – the most serious kind of skin cancer – is much more deadly than among Caucasians. You may have heard that naturally dark-skinned people have less chance of getting skin cancer, and that is true. Darker skin naturally has more melanin, the dark pigment that protects against the sun’s UV rays. 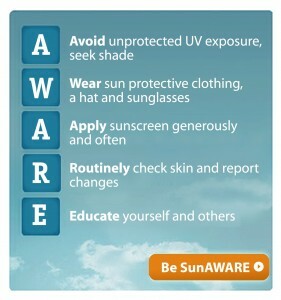 But the simple fact is, no one is immune to skin cancer. The overall 5-year melanoma survival rate for African Americans is only 77 percent, versus 91 percent for Caucasians. 52 percent of non-Hispanic black patients receive an initial diagnosis of advanced stage melanoma, versus 16 percent of non-Hispanic white patients. Melanomas in African Americans (and other nationalities, including Asians, Filipinos and Indonesians) most often occur on non-exposed skin with less pigment. Up to 75 percent of tumors arise on the palms, soles, mucous membranes and nail regions. Squamous cell carcinoma (SCC) is the most common skin cancer among African Americans. It tends to be more aggressive and carry a 20-40 percent risk of metastasis (spreading). Skin cancer comprises one to two percent of all cancers in African Americans. Why is this? One reason is that the familiar story about how darker skin has a higher SPF than lighter skin (which it does) has for too long translated into “My dark skin prevents me from getting skin cancer” (which it doesn’t). 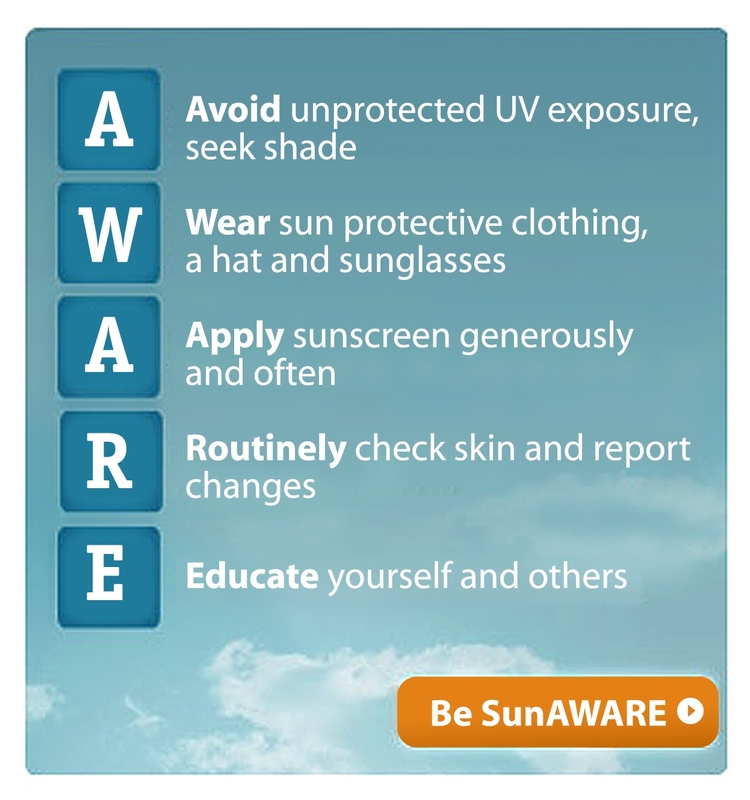 It’s important to keep skin cancer top of mind; early diagnosis is often critical in successfully treating melanoma and other skin cancers. 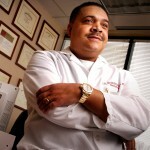 Another big reason, according to Dr. Charles E. Crutchfield III, is within the medical community. Crutchfield is a board-certified dermatologist in the Minneapolis-St. Paul area with specialized experience treating ethic skin. 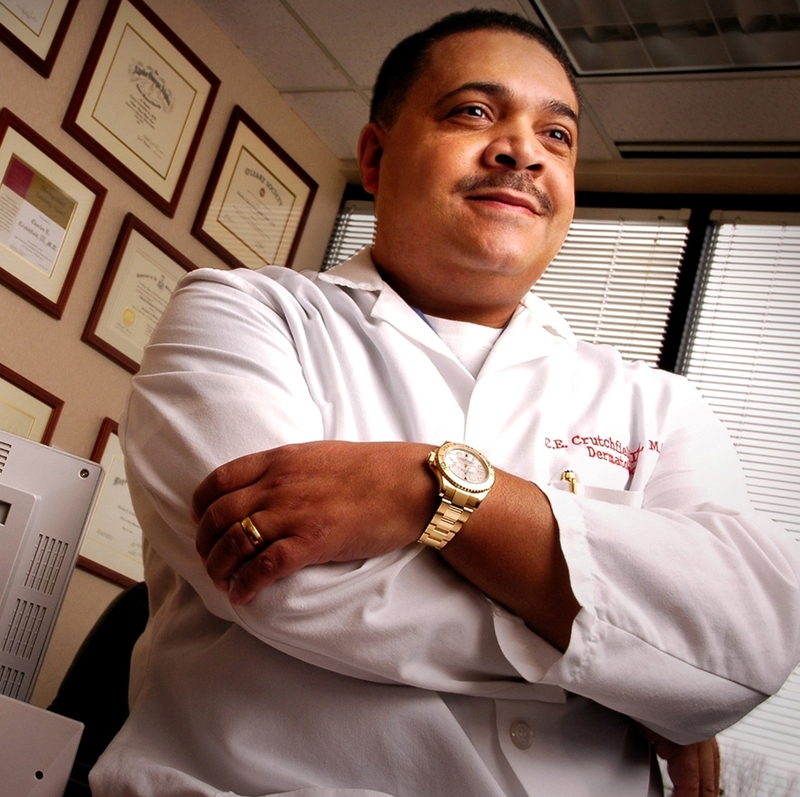 He says that the relatively higher incidences of skin cancers among Caucasians – and therefore the related training for physicians – makes it more difficult for professionals to diagnose skin cancer among African Americans and other ethnic groups. The lesions, moles and other symptoms that commonly help with a skin cancer diagnosis do not always appear as readily on someone with darker skin. Skin cancer in African Americans is also more apt to develop in harder-to-find areas such as under fingernails or toenails. So education is one of our most effective tools to combat skin cancer. As African American History Month continues, keep in mind how you can avoid skin cancer. 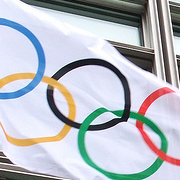 The 2014 Winter Olympics in Sochi, Russia begin in less than a month. While the events are cold weather related – bobsled, hockey, ice skating and skiing to name a few – the athletes remind us of the importance of sun protection year round, no matter where you live. US Olympic skier Julia Mancuso is a US favorite (gold medalist and Minnesota native Lindsay Vonn is staying home due to injuries). Julia is out skiing every day to train. And although the temperatures may be low, UV rays are still damaging – especially at higher altitudes, such as in Sochi where the alpine ski courses start more than 7,000 feet above sea level. Julie gives her tips on sun protection before hitting the slopes. Don’t forget to protect your eyes! Along with UPF 50+ sun protective hats, 100% UV protective sunglasses and SPF 30 broad-spectrum sunscreen, we recommend the Coolibar Sun Gaiter for added face and neck coverage. We wish Julia and the other athletes great success at the Olympics. Whether you’re going outside to cross-country ski, or taking your dog for a walk, or if you happen to be going to the Winter Olympics in Sochi (jealous! ), remember: it’s always important to protect your skin from the sun! Two of our favorite sunscreens at Coolibar, CōTZ and Total Block, provide excellent UVA and UVB protection; however, there are some differences you should know about. We invited Justin Dannecker of Fallene to answer some of the most common questions we get from customers regarding these sunscreens. Please provide a brief background of the company, your mission, and what you’re working on these days. Fallene, Ltd. was founded by board certified plastic surgeon and dermatological chemist Dr. Harry Fallick. He had the idea to formulate a product with superior protection for individuals with photosensitive skin. Thus Total Block was created. 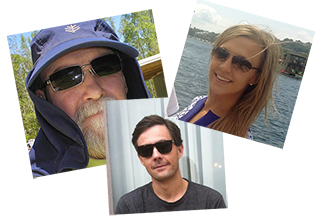 Continuing along the path of photo-protection innovation came Fallene’s latest sun protective product–CōTZ. CōTZ sunscreen offers maximum protection for individuals that may have sensitive skin and are concerned with chemicals found in many sunscreens. For example, CōTZ Balanced Mineral Complex™ is free of oils, fragrances, preservatives, parabens, PABA, gluten, phthalates, does not irritate or sting and is gentle enough for all skin types. What is the difference between your CōTZ brand and Total Block brand? Total Block contains 5 sunscreen filters (2 physical and 3 chemical) for a very protective barrier against UV radiation and even into the visible light spectrum. These products are for someone who needs the ultra high protection. 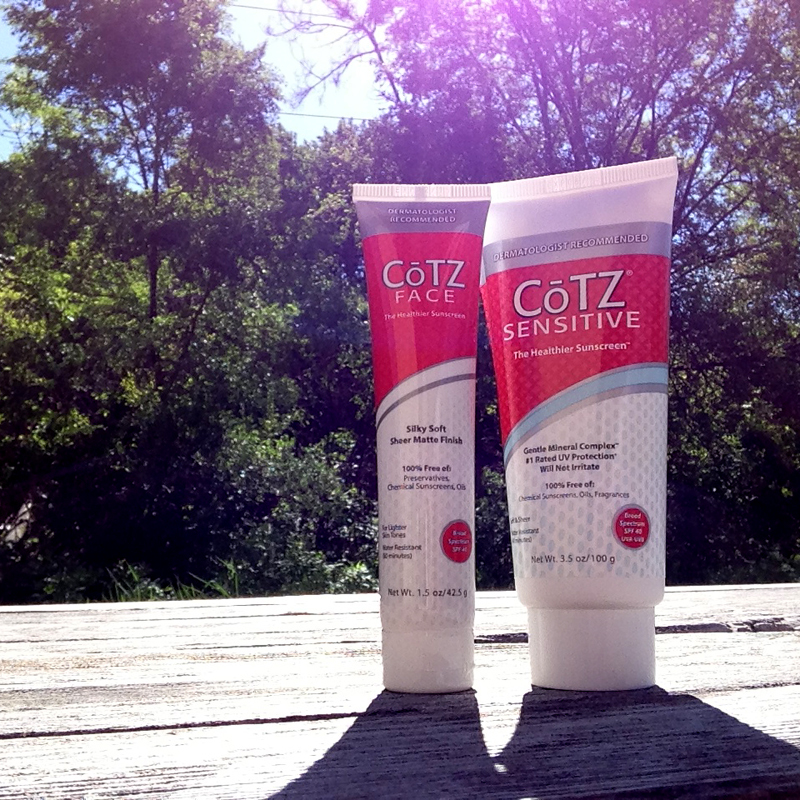 CōTZ contains only physical sunscreen filters: titanium dioxide and zinc oxide. These products are for people who have sensitive skin and are concerned with chemical sunscreen filters. Both lines contain the #1 and #2 rated sunscreen ingredients: titanium dioxide and zinc oxide. Can you explain why your packaging looks different this year? What is new on the label that we should know about? The packaging changes were mandated by the U.S. Food and Drug Administration (FDA). The two main features on the packaging that changed were that water-resistance of a product must be given a time frame of effectiveness, either 40 or 80 minutes. 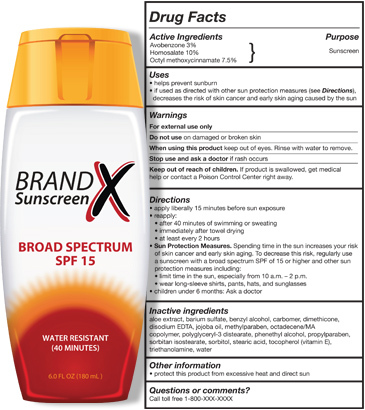 The second was that all sunscreens must pass a “broad spectrum” test in order to claim broad spectrum protection on their packaging and also be above an SPF 15. These changes were done so that it would be clearer to consumers what they were purchasing and how it would function as a sun protective product. Do you have any sunscreen that won’t sting or burn sensitive facial skin? The most popular product that we offer for sensitive facial skin is the CōTZ Face Natural Skin Tone SPF 40. This product is 100% free of: oils, fragrances, chemical sunscreen filters and parabens. It is also very gentle and goes on smooth as to not irritate. Additionally it is non-comedogenic, so it is great for acne prone skin as well since it will not clog pores. Zinc oxide has been used for centuries as a healing ingredient in many products so it is considered to be very gentle. It also happens to be the #1 UV filter. We have utilized only this ingredient in our pediatric and sensitive skin products to offer the ultimate in gentle protection for those with the most sensitive skin. Is there a way to reduce the white residue some zinc based sunscreens leave behind? Our sunscreens are formulated with micronized zinc oxide, which does not leave a white residue on your skin. The best product to use on children is our CōTZ Pediatric product, which contains no chemical filters, oils, fragrances, parabens or PABA. This is a great product for children above the age of 6 months. 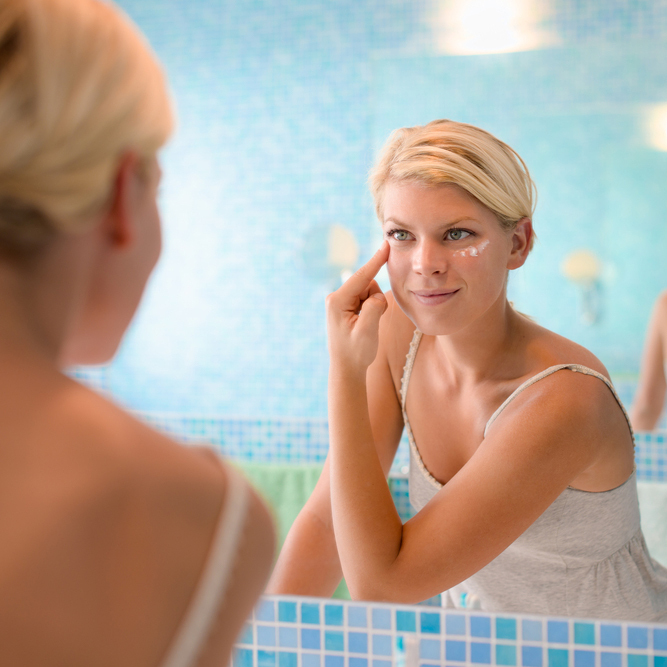 Why is there tint in some of your sunscreen such as CōTZ Plus SPF 58? We add iron oxide to some of our products for several reasons. It allows the product to match most skin tones by adding a slight tint. It also acts as another sunscreen filter since iron oxide is another mineral just like titanium dioxide and zinc oxide. 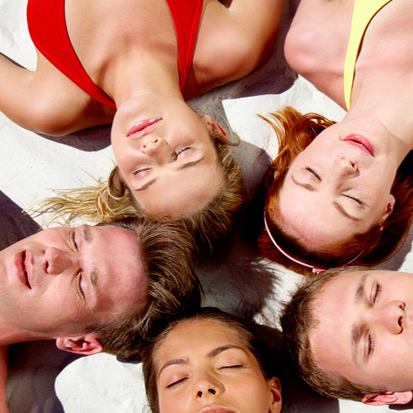 Which is better, spray sunscreens or cream sunscreens? Spray sunscreens all contain chemical filters and are not entirely effective since you might be using it in a windy environment and not get the appropriate amount of the product on your skin to protect you. Since they also all contain chemical sunscreen filters, they are not ideal for individuals with sensitive skin. Is there anything else you want to tell us about your products/brand? At Fallene we are committed to developing the next generation of sunscreen and skincare products to meet the needs of our customers. Keep your eyes out for new products on the horizon! If you have any further questions about Total Block and CōTZ sunscreen, send us a message on the Coolibar Facebook Page. 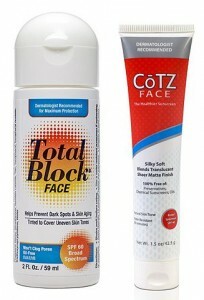 Shop CōTZ and Total Block Sunscreen at www.coolibar.com.